Come cheer on our teams!. 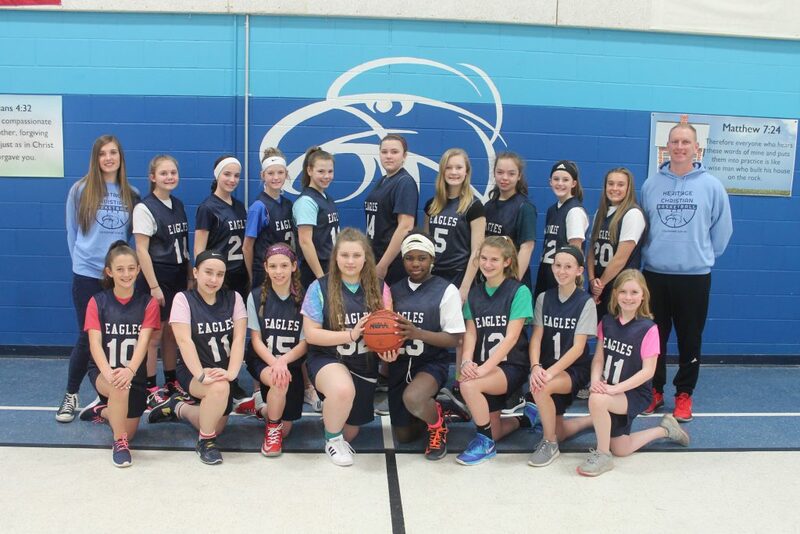 . .
Tuesday (March 12th) the girls had their last games of the season at Gagie . The girls started off slowly after more than 10 days off. The second half they played much better but ended up falling short with a final score of 14-25. The girls started off a little sluggish but when I reminded the 8th graders that this was their final MS game they turned up the intensity. The second half the girls flawlessly broke down the 2-3 defense and gave maximum effort on both end of the court and cruised to a 33-21 victory!! GREAT SEASON GIRLS, WE’RE SO PROUD OF EACH AND EVERYONE OF YOU!!! 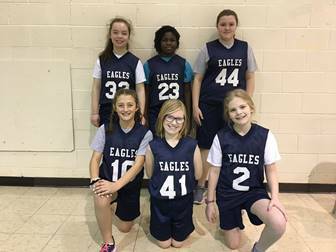 Last Thursday, February 28th the girls had their fifth game of the season against St. Michaels. After a week off the girls were pretty rusty & sluggish out of the gates but did pretty well defensively, the half ended with the girls down 10-6. The second half was pretty physical and it started to affect the girls. They managed to shake off their frustrations and make a strong push in the fourth quarter. After nearly coming back they ended up falling short with a final score of 25-21. Great job overcoming adversity, I’m proud of you girls!! 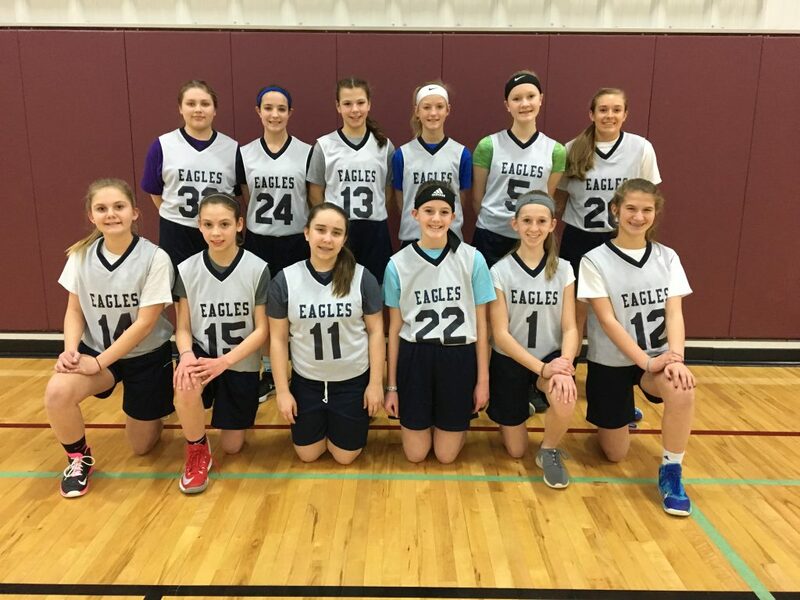 Our last game for A & B team is next Tuesday (3/12) @ Gagie …..GO EAGLES!! Yesterday (February 21st) the girls had their fourth game of the season against Gagie. The first half the girls played very but couldn’t get many shots to fall, the half ended with the girls down 14-15. The second half was a different story, the girls played stifling defense and the ball started going in the hoop. Our girls ended up winning by a final score of 35-20. On Thursday, February 21st, the girls had their second game of the season against Gagie. The first half the girls didn’t start off with very good energy, so the Gagie girls were able to get a lead on us. The half ended with our girls down 8-20. The second half our brought better intensity and the girls seamed to start getting what we have been practicing. They played excellent defense and ran our motion offense pretty good, but ended up falling 20-30. Great job girls, proud of your improvement!! On February 18th the girls had their 3rd game of the season against St. Augustine. The first half the girls played great defense but couldn’t get many shots to fall, the half ended with the girls down 4-2. The second half the girls stellar defense continued but so did their shooting woes. We ended up falling short with a final score of 11-7. Great effort girls!! On February 18th the girls had their first game of the season against St. Augustine. The first half the girls were nervous but played very hard, the half ended with our girls down 18-0. The second half our girls settled down and allowed the game to come to them. They played good defense and had several more shot attempts but ended up falling 29-6. Great effort girls! !